MLB Fantasy team owners have seen the usual boom-and-bust cycles through the first half of the 2015 season. Those still in the hunt have found bargain players to supplement the performance of underachievers who came at a high price earlier in the season. As we cruise into the All-Star Break, there are many low-cost players available for owners needing a boost. Whether breaking out of season-long slumps or stepping in for injured players, the waiver wire is bustling as we take stock of the first half. Here are five MLB players that can help your team after the break. 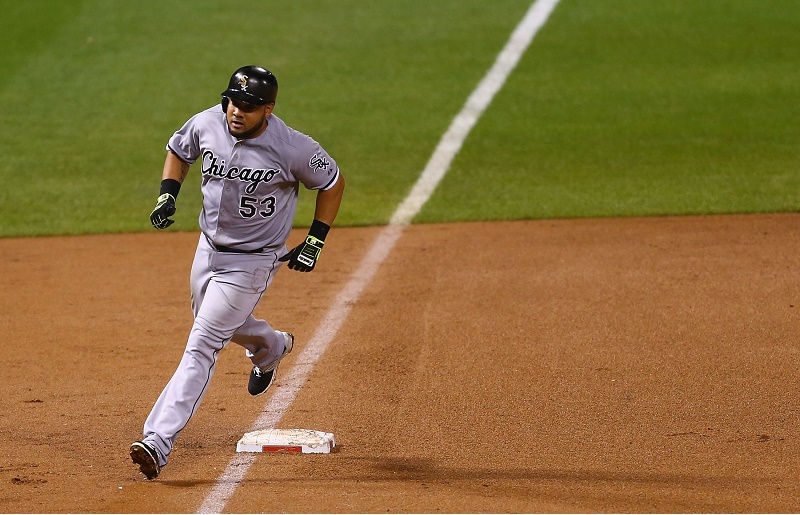 The Melkman has not delivered by any stretch in 2015, but he’s heating up ahead of the All-Star break. Melky tore through Toronto in his last series with five hits, 1 HR, and 4 RBI off Blue Jays pitchers. He’ll face better pitching in Chicago over the weekend, but another successful series would make Cabrera worth riding for a few periods. In a season where outfield production has been slim from corner outfielders, Fantasy owners may have no choice but to take a chance on Melky. 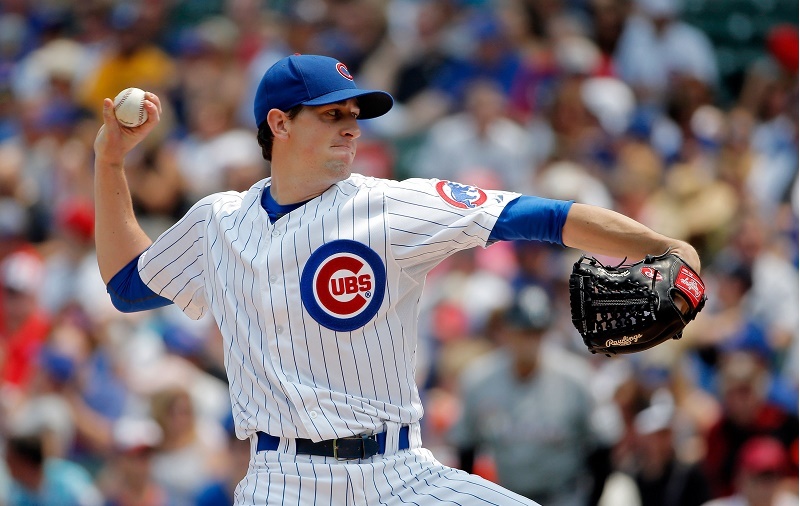 Kyle Hendricks lit up the Mets and Marlins in his last two starts, posting 12 SO, 2 BB, and 0 ER in 13.1 IP. You can argue it was a product of two weak lineups — Hendricks struggled previously against the Dodgers and Twins — but the Cubs’ upcoming schedule isn’t terrifying, either. His K:BB ratio has been excellent, and it is reflected in his 1.15 WHIP through 92.0 IP. Use his last start versus the White Sox to tip the scales. If you decide to pill the trigger, Kendricks is widely available. 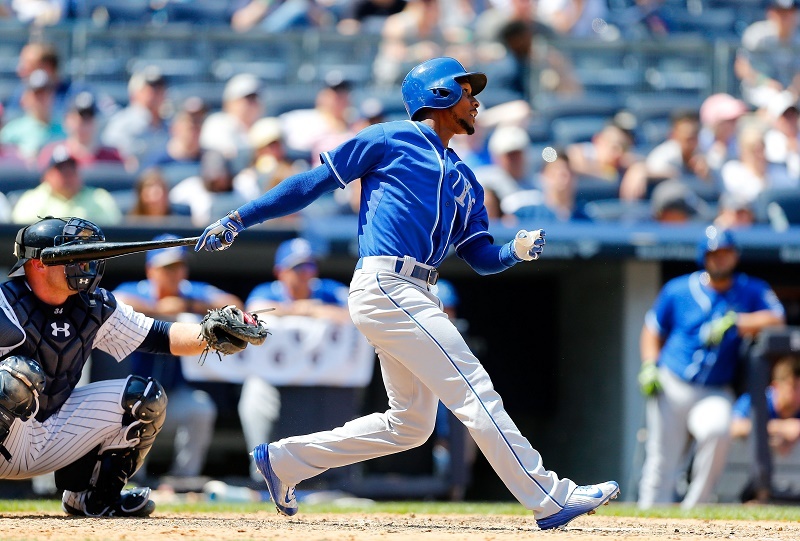 All-Star Alex Gordon went down with a groin injury and may be sidelined until September, which opened up a spot for Jarrod Dyson. The speedy outfielder has made the most of it in his first games for the Royals, posting four hits and four runs scored in 9 AB. You know he’ll get a lot of playing time in the coming weeks, so watch his weekend series against Toronto for a sign he deserves to play on your club. Like other players on this list, Mat Latos is available in most Fantasy leagues for a reason. It’s been a rough season for the right-hander, who heads into his last start before the break with a 4.90 ERA and 1.31 WHIP. 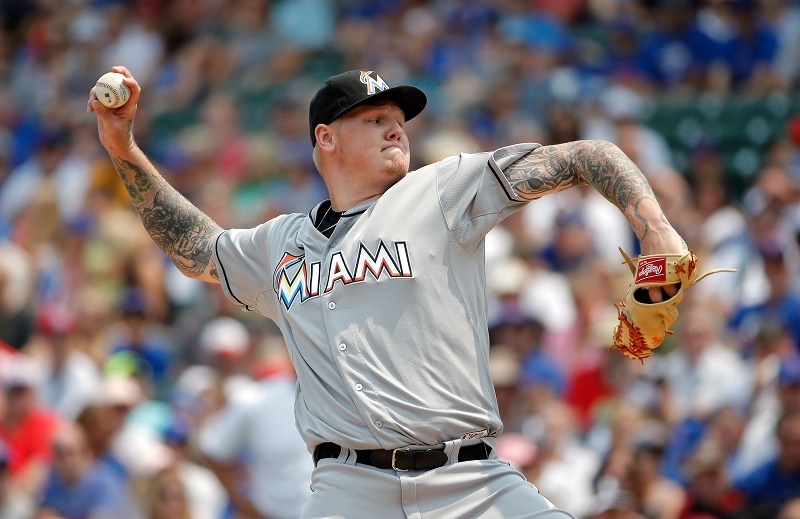 Nonetheless, Latos has been on a roll his last two appearances, allowing 3 ER in 13 IP with 11 SO versus 2 BB. If he can keep it going against Cincinnati, Latos is worth a flyer for the coming Fantasy periods. 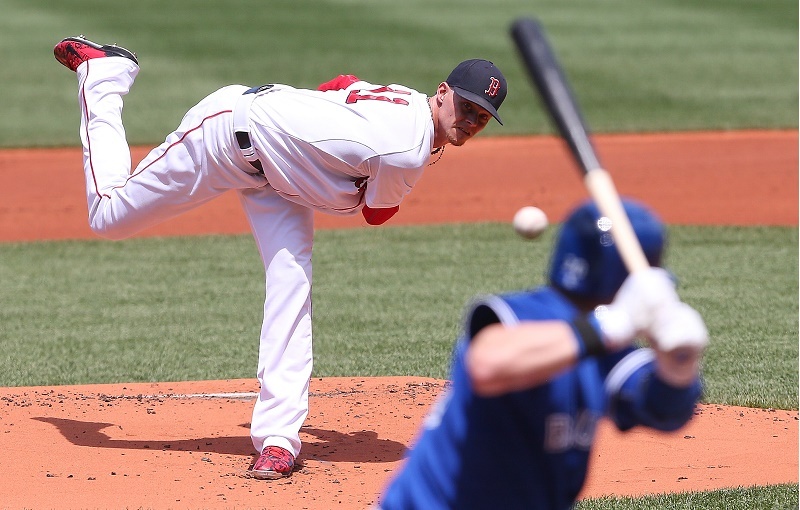 We’ve been both high and low on Clay Buchholz in 2015, but Boston’s No. 1 has been on a roll heading into the All-Star break. After seven innings of one-run ball versus Baltimore, Buchholz shut down Toronto and Houston in consecutive starts (the latter a complete game with eight strikeouts). 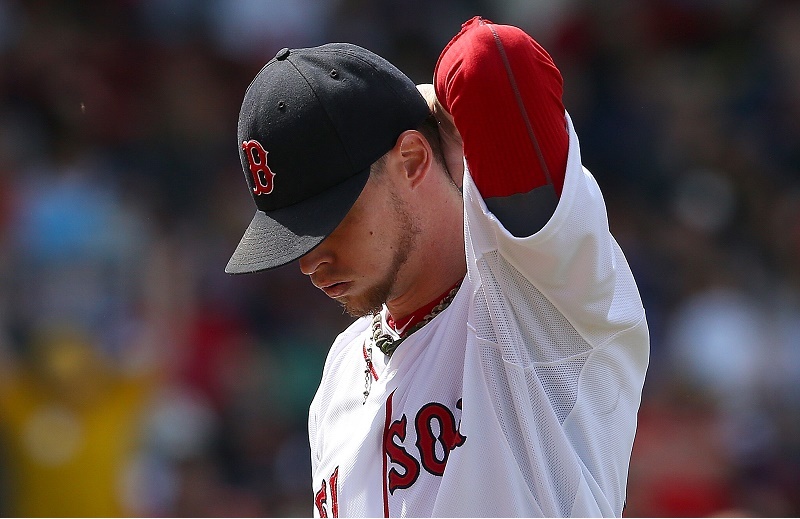 Buchholz will get another shot to prove his worth July 10 versus the Yankees, but he’s been quite valuable after a rocky start to the 2015 season. Stats, current before play on July 10, are courtesy of Baseball Reference.